Our Wealth of experience provides you with efficient service time and again. 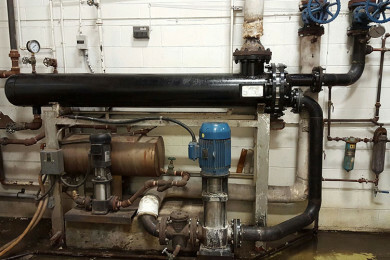 A regular maintenance program significantly reduces unexpected issues. From small repairs to large projects - one company for all your plumbing needs. 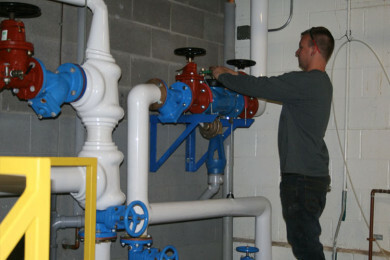 Our extensive training makes us well rounded Mechanical Contractors. Contact us for all your heating and plumbing needs. With over 60 years experience and real focus on customer satisfaction, you can rely on us for your next project. We provide a professional service for industrial, institutional and commercial customers. We provide professional heating and plumbing services with a real focus on customer satisfaction. Our service work and projects are carried out by fully trained staff to the highest professional standards. We will take care of you and your project from the start through to servicing and maintaining your systems in the years to come. Our fully licensed plumbers work tirelessly to ensure your job is done with the most effective and cost efficient solution. To ensure our customers are receiving excellent work we hire only the best. Our fully licensed plumbers are also skilled and certified in other industry standards to provide you with the best mechanical contractors in the business. We are always growing our business and currently hiring professionals for two positions: Licensed Plumber and G1 Gasfitter. In the GTHA and Niagara Region, leading manufacturing companies trust Glenn Richardson for installation and on-going service, because they know they will have fewer headaches, less downtime and overall cost savings as well as up-to-date knowledge and unwavering reliability. For decades we have been helping contractors build successful, long-term relationships with their clients by providing leading edge technology and excellent workmanship. Property managers in the GTHA and Niagara Region choose us because we offer confident, reliable and timely service that increases client satisfaction and reduces unnecessary repairs. "Alex Foster and his team were very professional and when something was committed to they followed through as promised. The project was completed on time and on budget with no deficiencies. My performance is only as good as the contractors that I employ and I would have no hesitation in working with Glenn Richardson again." "Our crews have immensely appreciated working alongside all of the employees at Glenn Richardson Plumbing & Heating Ltd. The leadership of the company is extremely knowledgeable, well organized, hard-working and safety conscious. All of these traits have been passed down to each one of their esteemed employees." "I really appreciate that I have one main contact at Glenn Richardson Plumbing who knows my properties and can respond to my issues fast. This makes my job easier!" At Glenn Richardson Plumbing & Heating the health and safety of our employees, subcontractors and customers is a top priority. As a member of the WSIB Regional Construction Safety Group we are always working to improve our health and safety program and provide ongoing safety training for our employees.